The Abdus Salam International Centre for Theoretical Physics (ICTP) has a regional center named ICTP South American Institute for Research (ICTP-SAIFR), and one of their goals is to provide an international center for schools and workshops. I discovered the ICTP-SAIFR in the last year of my PhD (2012) when they offered the first Summer School on Mathematical Biology. Unfortunately, I was not called for that Summer School and, since I finished my PhD, I have been working in Education (from elementary to higher education). Despite my PhD was focused on Plant Biology, I dedicated a lot of my time learning about Statistics. Thereafter, I have been helping some friends analyzing their biological data. In September 2017, I read about the CODATA-RDA School of Research Data Science by ICTP-SAIFR newsletter, and since I have pictured my career as a data analyst, I decided to apply. Then, I was lucky to have the chance of attending the school. At that moment, I was expecting only to learn about computer and math fundamentals of data science, but after the first week of the school I learned so much about ethics, reproducibility, and the FAIR guiding principles that surpassed my expectations about what I had intended to learn. So much, that it changed my way of doing science. As a teacher, I always try to promote project-based learning and other student-centered classes. I am convinced that it enhances student engagement and encourages ongoing learning within a team environment. Therefore, these future scientists can pave their fundamentals in critical thinking, collaboration, and creativity. However, before the school, I have never thought about how important is to the science to be open. It is vital to do good science to have trustworthy data repositories, to provide data and reproducible codes with well-written “read me” sessions, and to publish in open/accessible journals. Attending the CODATA-RDA School in 2017 as a student was a breakthrough moment for me. Moreover, I met so many people (even one of my former high school students was there!) 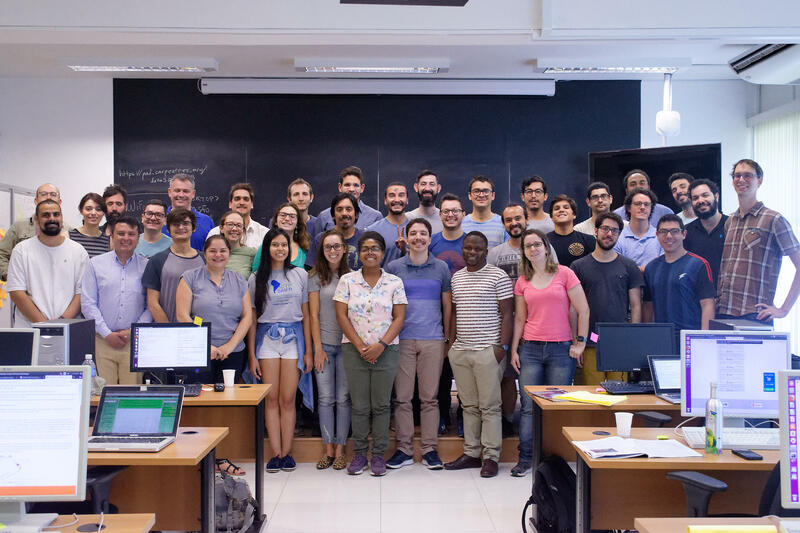 with different backgrounds and from different countries that when I was invited to be a helper at the 2018 São Paulo CODATA-RDA Summer School, I accepted without thinking it twice. As a helper, I could see a group of very high skilled and very enthusiastic students and I could witness the same “awe” about Open Science that I had last year in many students. As the last year was the first time it was realized, this year, I think the classes improved in many aspects. For example, they had many hands-on examples and the participation of R-Ladies as tutors was really amazing! Former CODATA-RDA students have been networking with each other, spreading opportunities and other information. For example, one of my undergrad students has been advising in Pharmacology by a young researcher from 2017 CODATA School. Moreover, I am using and encouraging people to use open science toolkits, such as, sharing their R codes and data of their manuscripts in GitHub with a DOI by zenodo. As a Bioethical Committee member of my Institution, I have including ethical debate about data and evangelizing FAIR concepts with my peers and students. I am looking forward for more opportunities to join future CODATA meetings and schools and to participate more actively in the Open Science Community. Juliano van Melis - #dataSaoPaulo17 Alumni, #dataSaoPaulo18 helper.